When the opportunity comes along to help kick start a brand new high school athletic program, you jump at the opportunity. In an effort to grow that game and give more kids the opportunity to play football, the NFL launched a program called Kick Start. The program is designed to support new high school athletic programs, to ensure they have all of the equipment and tools required to compete on the field. To take the project to another level, the Steelers looked to their partners for support, and support they received. Brands like Nike and Riddell stepped up to provide the team with top of the line uniforms, helmets, and pads. 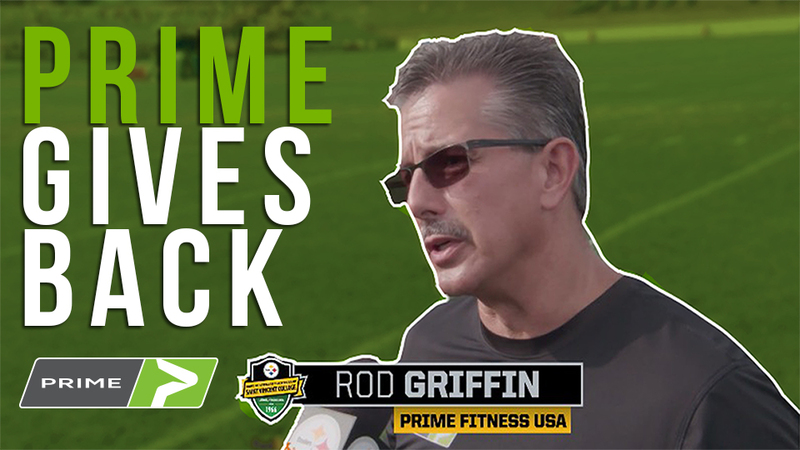 In the weight room, PRIME installed fully equipped PRIME Steel Rig, so the team could train on the same equipment their favorite players do at the UPMC Rooney Sports Complex. It’s just a terrific thing to be able to work with the amazing brands and people that make this type of thing possible. To donate this equipment to such a worthy cause, it’s really rewarding. Join us as we cheery on the Midd-West Mustangs this year! For more information about PRIME Fitness or to keep up on the latest news and updates, visit www.PRIMEfitnessUSA.com/news.